The crypto-winter is affecting billion-dollar players in the cryptocurrency market. After the much-publicized layoffs at ConsenSys, SpankChain, and Steemit, mining equipment manufacturer Bitmain is reportedly cutting down 50 percent of its total workforce, alongside shutting down its entire Bitcoin Cash (BCH)-focused division. As per a report on SCMP on Dec. 26, Bitmain’s impressive year saw the mining giant make revenues of over $4 billion, grow its staff to 2,900 employees, attain a valuation of $8 billion, and work towards a listing on the Stock Exchange of Hong Kong (HKEX). But the riches are failing to prove sustainable for floating Bitmain’s formidable workforce, in particular, its BCH division. The purge began with Bitmain’s Israeli office when 20 staffers were left jobless after the research-only division was shut down. At the time of writing, however, no exact number of planned job cuts are known; but if comments from a current staffer are considered, the layoffs will be spread across all business verticals in Bitmain’s business—which has grown from manufacturing miners to producing hashing power for the Bitcoin and Bitcoin Cash networks, artificial intelligence (A.I. ), and mining pools. Bitcoin Cash proponent Calvin Ayre, who engaged in a hash war with Bitmain and Roger Ver earlier this year, referred to Bitmain’s decision to deploy massive hashing power as “disastrous.” He further thinks the firm’s days at the top are now over. 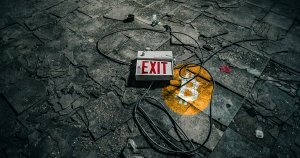 Another prominent crypto business, Hong Kong-based cryptocurrency exchange Huobi, is joining the ranks of crypto-businesses laying off employees to combat the bear market. The exchange handles hundreds of millions worth of trades each day, with the total volume on Dec. 26 exceeding $600 million. Still, the income seems unsustainable to handle an employee-force of over 1,000 workers, most of which have joined this year. As per statements, Huobi has decided to fire the “most under-performing” workers, althought metrics to define the term are not publically available. A spokesperson confirmed the development to SCMP, but similar to Bitmain’s comments, stated hiring for core roles and the emerging markets division continues. Meanwhile, the hire-and-fire culture finding its way into the cryptocurrency sector comes as no surprise to Jehan Chu, a partner at Hong Kong-based Kenetic Capital, a crypto and blockchain-focused investment fund. The post Bitcoin Companies Purge: Bitmain and Huobi Lay Off Workers appeared first on CryptoSlate.